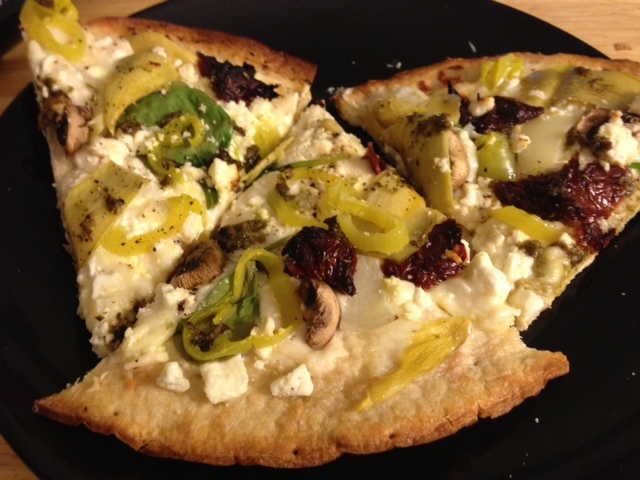 I’ve found making pizzas as a quick meal that also includes some leftovers. The toppings are limitless and I usually just choose random vegetables I have purchased for other meals. Before becoming a vegetarian meat was my go-to topping on pizzas. 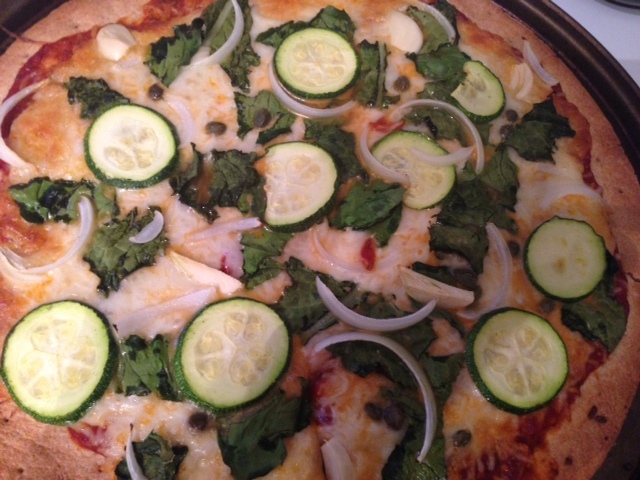 I’ve found with trying different vegetables on my pizzas they are full of flavor and more satisfying than my former “meat lover” preferences. For pizza crusts I advise AGAINST Kroger brand, it tasted like cardboard. 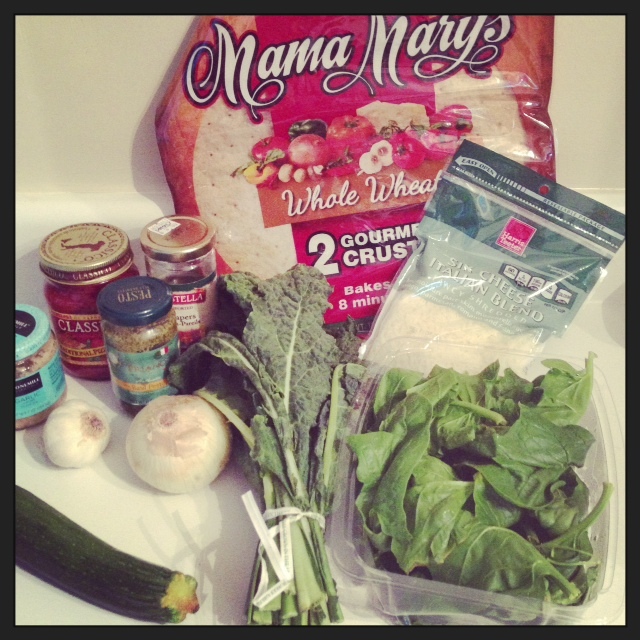 Mama Mary’s brand (I’ve bought at Walmart) is made with whole wheat and is a thin and crispy style crust. I spread olive oil on the bottom of the crust to make it crispy. 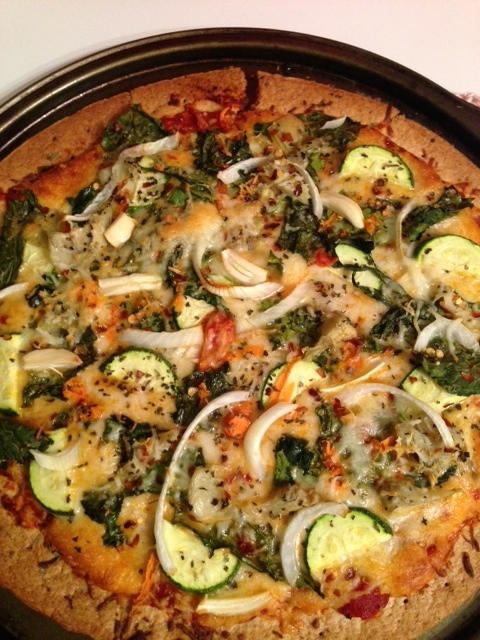 Before I spread the pizza sauce I like to spread minced garlic and pesto on the crust to add flavor. For pizza sauces I tend to prefer a white sauce such as alfredo or ranch dressing. Sometimes I mix half white sauce and half spaghetti sauce. For cheese I usually buy some pre-mixed mozzarella, Asiago, provolone, and romano cheeses. I also like to sprinkle feta after I have put the other toppings on the pizza. If you broil the oven it browns the cheese on top too. 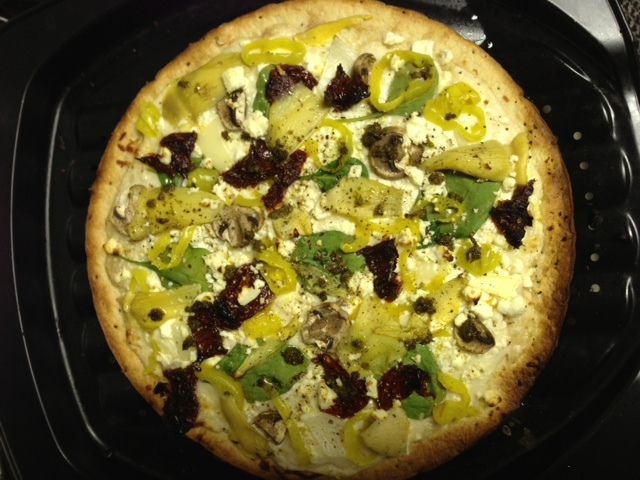 These are some pictures from my two most recent pizzas. So it is Monday night and I am getting a late start to dinner because I had an exam at 6pm which required my attention today. 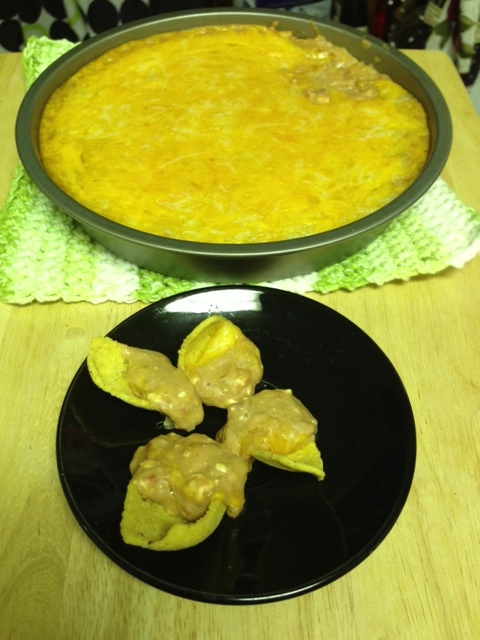 This recipe had two different variations for using a slow-cooker or stove-top. Since I don’t want to wait 5 more hours to eat I opted for the stove-top version. It was pretty easy most of the time consumed was cutting the vegetables and stirring the roux (I had never heard of such terminology until tonight since I am still a pretty amateur cook). I made some adjustments to the recipe that I found. I looked into replacements for chicken broth and read about vegetable stock. 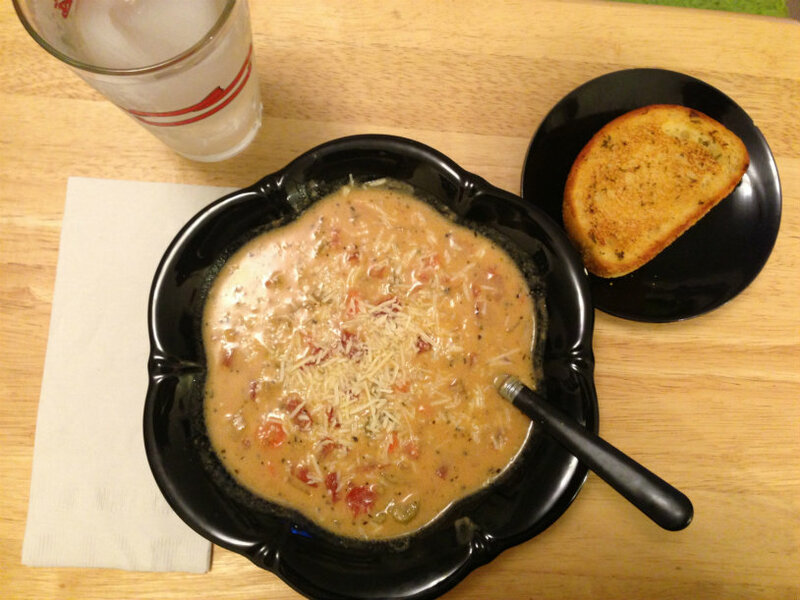 It can be home-made or store bought. If you go the store bought route be sure to look at the ingredients list because some had hydrogenated oils and other un-healthy ingredients. I also read to add butter to recipes using vegetable stock in place of chicken/beef broth/stock because it is missing the animal fats. 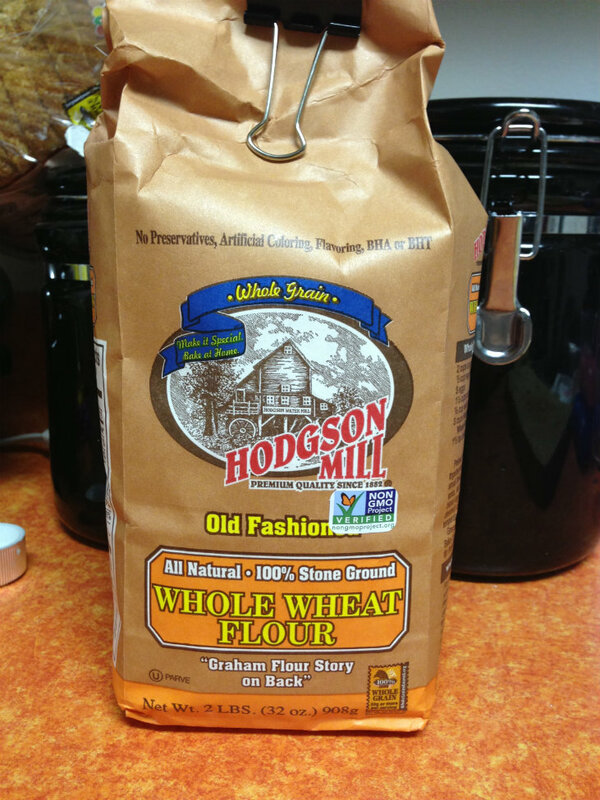 I also replaced half of the flour the recipe called with whole wheat, non-gmo flour. I would have replaced all of it but I wasn’t sure how strong of a flavor the whole wheat would have and I had white flour to use up too. Heat the olive oil in a soup pot. Add celery, carrots, and onions. Saute 5 minutes. Add bay leaf, oregano, basil, tomatoes, vegetable stock, and 1/4 cup butter. Bring it to a boil and then reduce heat and simmer about 15 minutes. While the soup simmers, prepare a roux. Melt 1/2 cup of butter over low heat, add flour and cook, stirring constantly, 5-7 minutes. Slowly stir in 1 cup of hot soup in to the roux. Keep stirring until you add 4 cups of soup into the mixture. Add back into the soup pot. 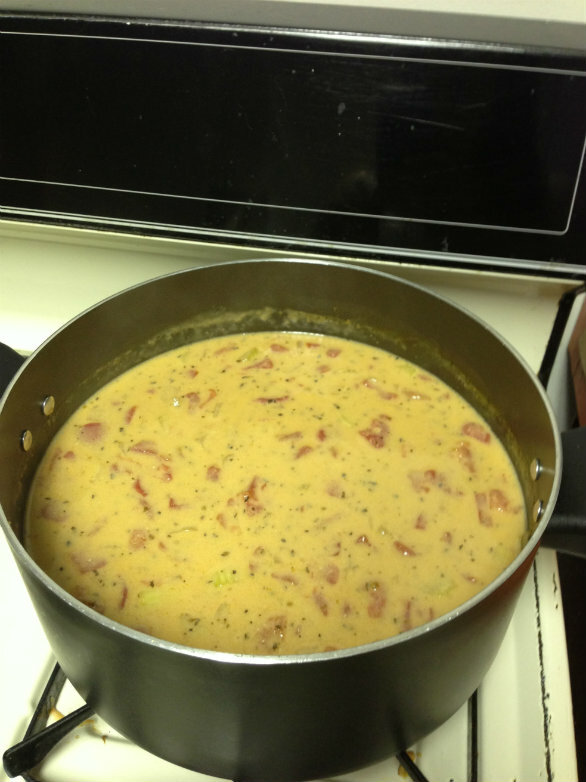 Simmer, stirring constantly until soup begins to thicken. Add parmesan cheese and keep stirring. Stir warmed half and half, salt, and pepper into the soup. Simmer for 15-20 minutes stirring occasionally. Garnish with extra parmesan cheese.